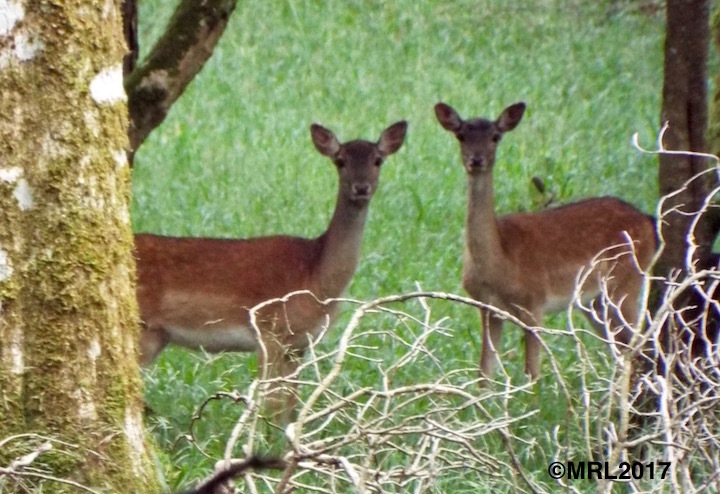 Whenever I see the wild deer I am always reminded of the Goddess Sadbh [Sive] for these to me are her special creatures, that is if any animals can be deemed ‘special’. Sadbh is I think a most likeable personage, so very nimble and lithe in her cloak of green as she fits through the woodlands nurturing the wildlife that share her home. 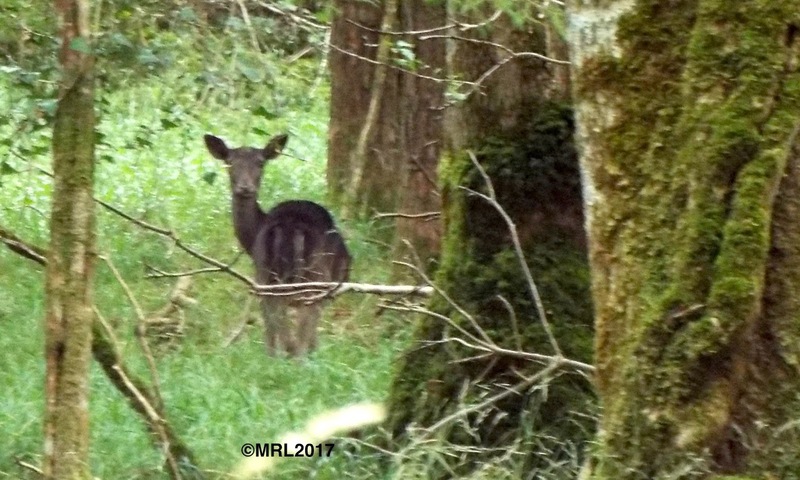 Many of Ireland’s wild Fallow Deer escaped in the early 20th century from private park lands and supplemented the old wild herds introduced by the Norman's soon after their arrival in 1169. They are now our most widespread species of deer and are found in most woodlands countrywide, both hill and lowland. 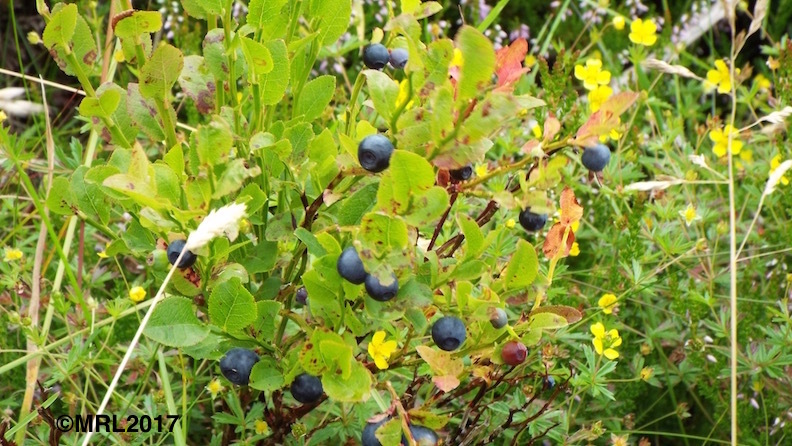 One of their favourite foods are the wild Bilberries that grow on the mountainsides, intermingled with the heather blossom. 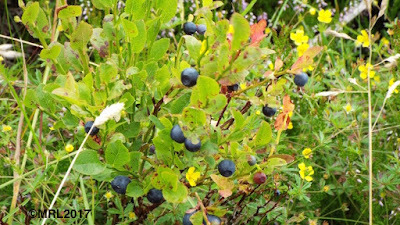 I was told as a young lad that where you see bilberries there are deer - perhaps they help to spread the seeds after digesting the berries. but just as tasty especially as they are free! These lads have a very keen sense of smell and are acutely aware of any foreign sound. 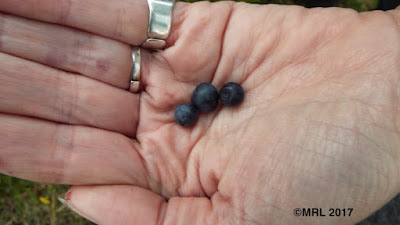 One has to tread very warily making as little noise as possible to photograph them, otherwise they are off as quick as lightening, deep into the forest and you will not see them again. I was very fortunate in being able to photograph the deer that you see here, that the wind was on my face and that even though they were perhaps aware of my presence I kept very still and managed to blend in with the trees. 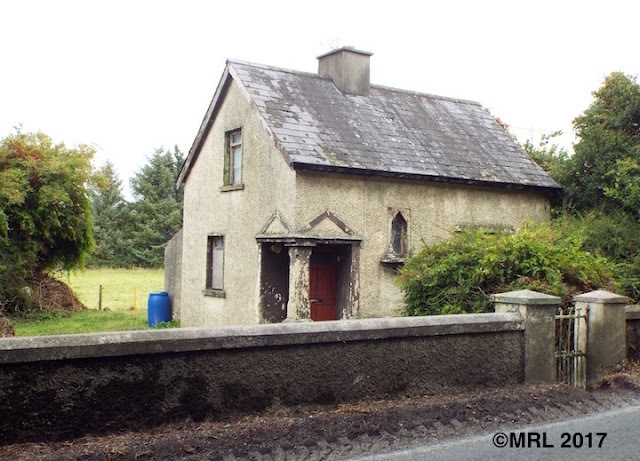 'Old Timers' are the many vernacular cottages and often deserted homes scattered across our rural landscape. The photo's that follow are a selection of some of the buildings in three counties. 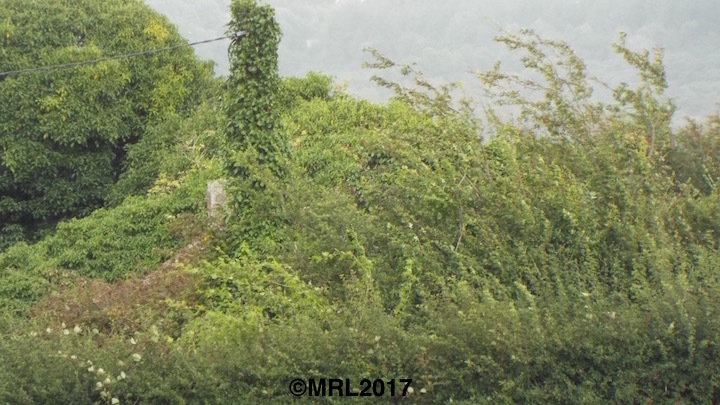 Beneath the shroud of greenery lies a once handsome cottage with a tiled roof. It caught my eye twenty odd years ago and I often wondered if anyone would appreciate its very private location and buy it, nobody did so nature has now taken over. This one too has always attracted me. 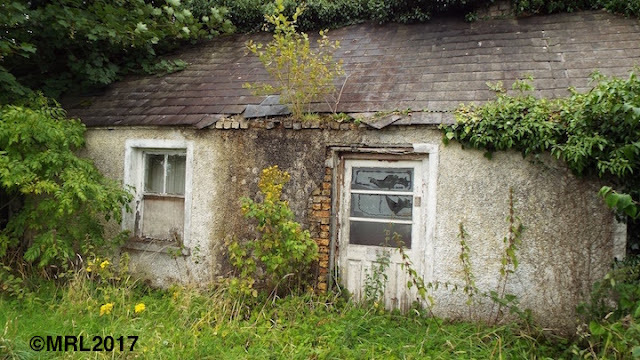 There were once figures on the porch roof but since the recent clean up they have sadly disappeared. I wonder if a 'For Sale' sign will shortly be seen, for it has a useful level field behind and would make a good wee home for someone with the energy to care for the place. No hope for this old home I guess as it is only a couple feet from a busy road. in even maintaining it as a useful store. It is very sad to see unwarranted neglect. A long house where music and yarns would have almost lifted the rafters off whilst the owners jigged the night away. 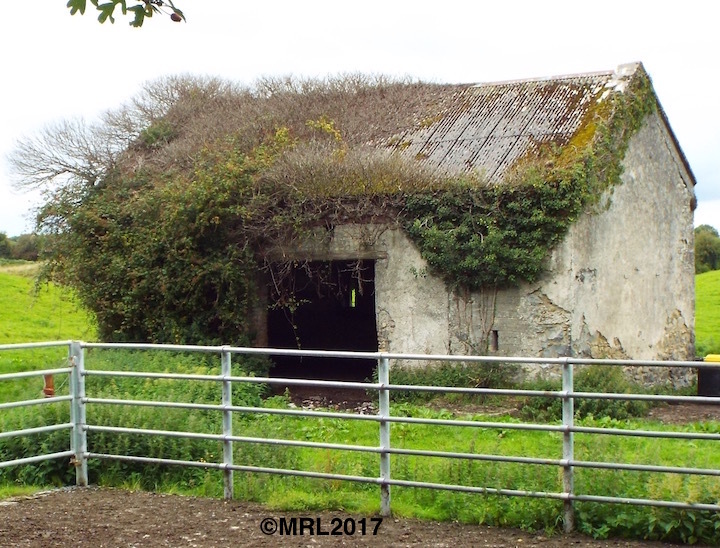 Once referred to as an Irish cabin, most likely thatched and now sheeted over with corrugated iron, then converted to a shed: the doorway increased in width to accommodate cattle. 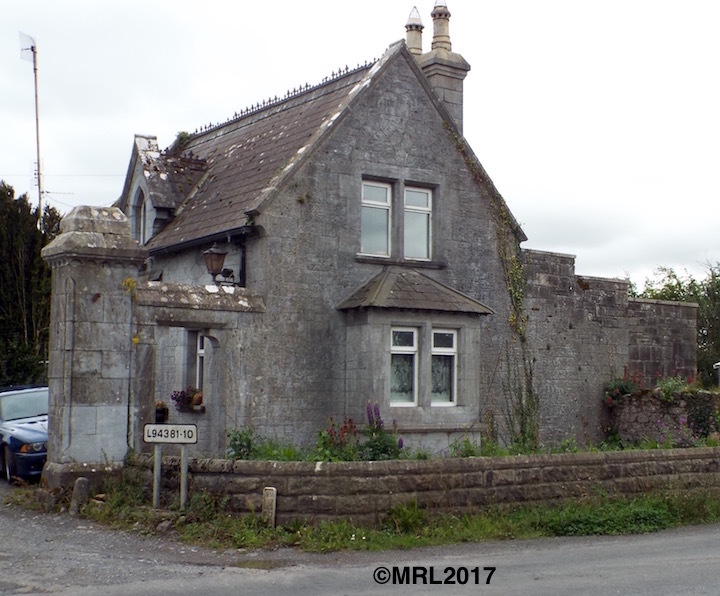 Yet another gatehouse that we often pass by. This was the original gate lodge for Castle Bernard, renamed Kinnitty Castle. The present entrance and driveway is now at Beech Lodge. My eye was drawn to this article in the Irish Examiner today and I could not help but share it with you. 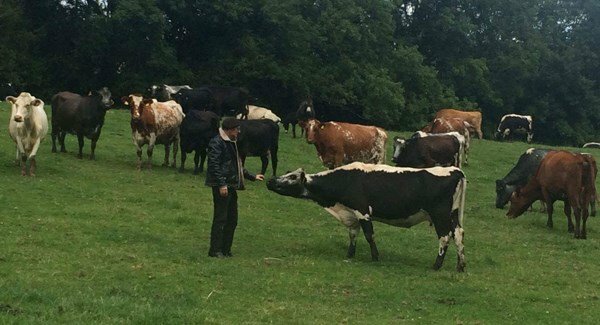 "A Cork farmer has made the unusual decision to give his dairy herd a retirement in an animal sanctuary instead of sending them to the slaughterhouse, writes Amy Ryan. 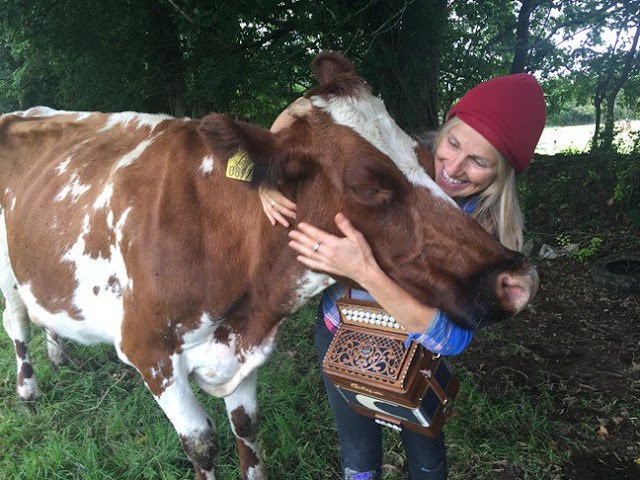 70 cows are set to head to Hillside Animal Sanctuary in the UK where they will live out their days rather than going to a slaughterhouse. Wendy has been arranging the trip with the farmer, who wishes to remain anonymous to the public. “How could I send them to slaughter when there is this option for them? After all these years, they deserve more from me and they are very bonded as a herd,” said the Cork man. The herd has cows of all ages and they are said to be very supportive of each other. The herd waits for the older cows while they are moving fields, showing how emotionally bonded they are. The herd shows its support to a young calf, who occasionally suffers with epileptic fits, by circling the calf until the fits stop. 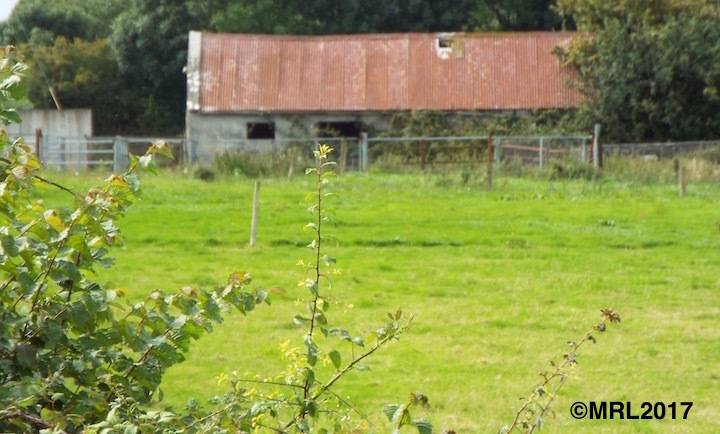 This is the first ever dairy herd to leave a farmyard in Ireland to retire to a sanctuary. It is notably unusual for a farmer to choose this option for the herd, who would have fetched a high price if he had sent them to the slaughterhouse. Some of the cows are in calf, so the offspring will be born in the sanctuary. “Why shouldn’t they retire with me?’ he asked. 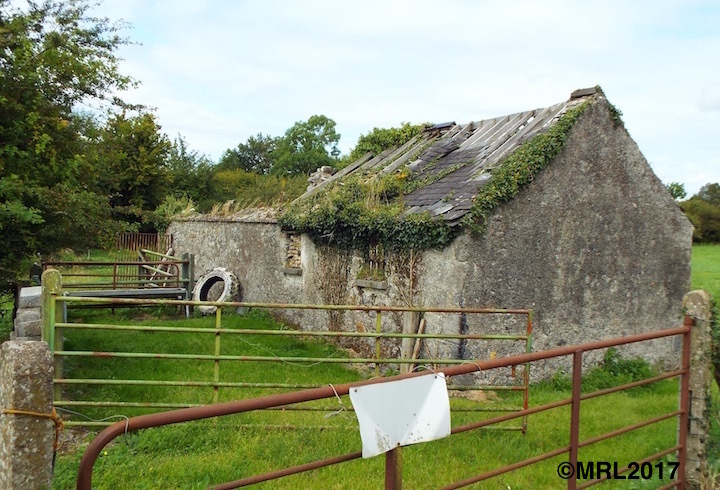 ‘They deserve it after all their hard work over the years,” said the Munster farmer. He has other animals on his farm which will also be sent to the sanctuary including sheep, geese and ponies. Charlie’s Equine Rescue, which is anti-slaughter, is coordinating the entire transport to Hillside Animal Sanctuary. 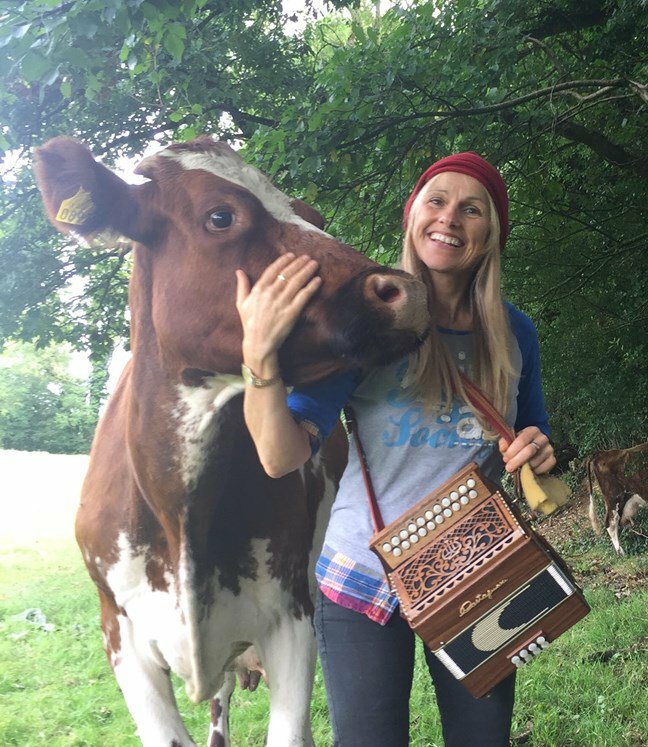 Sharon Shannon, Irish musician, recently visited the farmer after she learned of the farmer’s “noble and admirable decision”. She spent some time with the herd and played them a few tunes on the accordion. There is a Go Fund Me campaign to raise funds to ensure the farmers wish comes true for him and his herdhttps://www.gofundme.com/send-a-dairy-herd-to-sanctuary "